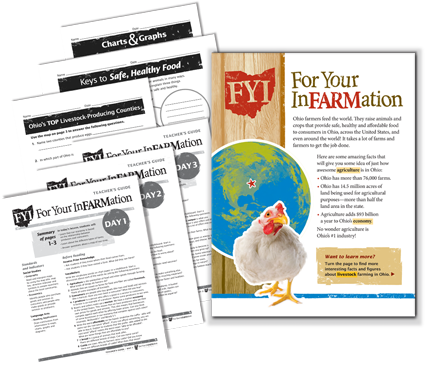 Our materials are designed to assist you teach your classes about the origins of the food they eat every day and livestock farming in Ohio. These materials meet Ohio learning standards, including: RI.3.1, RI.3.2, RI.3.3, RI.3.4, RI.3.7, 3.MD.B.3, Geography 3.5, and more! for third grade and have been reviewed by a curriculum consultant who is also a third-grade teacher in Ohio. And, smart board lessons have been developed and are available as part of the program. Click below to watch a demonstration of the smart board lessons. these free materials to use in your classroom. Win a free field trip to a farm and $250 for classroom supplies for your entire class! Do you want your students to experience an Ohio livestock farm firsthand? We are giving away a free, all-expenses-paid field trip for the class with the winning essay in our For Your InFARMation essay contest. Plus, the teacher of the winning essay also will receive a $250 gift card for classroom supplies. View a short video from a previous field trip. 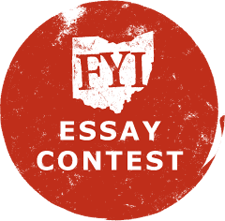 For essay contest guidelines and entry deadlines, click here. All essays are due by March 9, 2018. Essay winners will be notified by April 6, 2018.